The hearse carrying the body of fallen Merrillville, Indiana Police Officer Nickolaus Schultz passes by the police station where he worked. Some say Schultz’s death highlights the need for advanced trauma care in Northwest Indiana. On a gloomy Wednesday afternoon this week, dozens of onlookers lined the streets outside the Town Hall and Police Station in Merrillville, Indiana. They were there to honor Police Officer Nickolaus Schultz, the town’s first officer to die in the line of duty. A long string of squad cars with flashing blue lights escorted the 24-year-old’s body on its way back from the Cook County Medical Examiner’s Office in Chicago. Carol Miano, the president of the Merrillville Town Council, wiped away tears as they passed in front of her. Schultz was shot in the head late Friday evening while responding to a call at an condominium complex in Merrillville. The Lake County, Indiana Coroner’s Office reported 33-year-old Michael Hrnciar died of a self-inflicted gunshot wound after he shot Schultz. Police were called to a condo where Hrnciar had been evicted but was trying to return. Hrnciar was later found to be wearing body armor. After Schultz was shot, he was first taken to Methodist Hospital Southlake in Merrillville. But in order to get advanced care, Schultz had to be transported nearly an hour west to Illinois. That’s because the nearest Level 1 trauma center is Advocate Christ Medical Center in south suburban Oak Lawn. It’s unclear whether Officer Schultz could’ve been saved by more urgent care. But what is urgently clear, according to some local officials, including Miano, is that Northwest Indiana needs much better trauma care. Miano believes the state of Indiana should put money behind that effort. “Because it will help out every resident in the area in Northwest Indiana,” she said. Getting access to trauma care for a critically injured person could be a matter of life or death. “What’s important about quality care in that first hour - the golden hour - whereas if the person is not doing well, their chances of survival decreases as the length of time that the surgeon gets on the scene elapses,” says Dr. Michael McGee, Emergency Department doctor and Medical Director for Methodist Hospitals. Methodist Hospital operates two campus; one in Gary and another 15 miles away in Merrillville. Officer Schultz was transported initially to the hospital’s Merrillville campus before moving on to Advocate Christ Medical Center. “That definitely was an unfortunate situation and you have to have special neurosurgeons who were there to do what needs to be done. And even when he got to where he went, which was a level 1 trauma center in Advocate Christ, at that point, for those kinds of injuries, they&apos;re so severe, there’s really not much that can be done,” McGee said. But Jennifer Mullen says regardless of Schultz’s condition, that doesn’t lessen the need for a trauma center in Northwest Indiana. “We see industrial accidents, we’re so close to the industrial corridor along the lakeshore. We are geographically located between three major highways,” said Mullen, a registered nurse at Methodist Hospital who is also coordinator of its trauma services. “We certainly have a high incidence of crime in Northwest Indiana so the population we see trauma wise is varied,” she said. 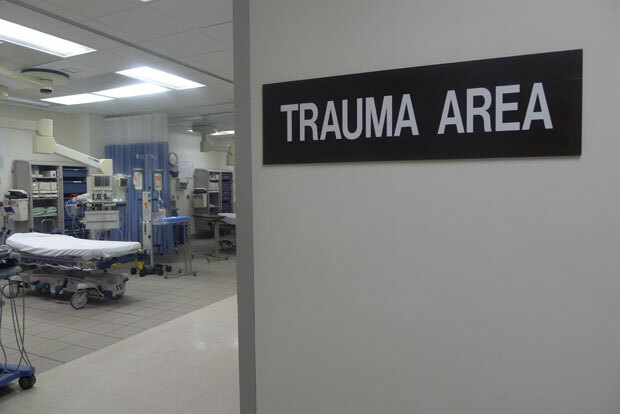 The cost of establishing and maintaining a trauma center is expensive. Even in Illinois there are large voids: Chicago’s south side, the far south suburbs and even in downstate southeastern Illinois. In Northwest Indiana, Dr. McGee’s been pushing for years to expand trauma care as part of a state task force. But he says the money it takes to pay for for specially trained nurses, physician specialists who are on constant call or stay at the hospital, along with state-of-the-art equipment can run pretty high for hospitals. To become a trauma center, a hospital must first decide if it’s a financially viable option, said Arthur L. Logsdon, Assistant Commissioner for the Indiana State Department of Health. “Hospitals have to make the decision as to why they want to be a trauma center,” he said. The state of Indiana has historically ranked near the bottom of the nation for access to trauma care for residents. But the state is trying to change that by establishing a trauma care network and working with hospitals to try to achieve trauma level status. That assistance, however, does not come with state funding. Still, Logsdon said there are twice as many trauma centers in the state today compared to just two years ago. “The 19 that we have, have all done it on their own dime. There have been no state dollars that have gone into that development,” he said. And those 19 now include Methodist Hospital’s Gary facility. Just this week the hospital celebrated its designation as a Level 3 trauma center with a visit from local and state dignitaries, hospital brass and others. Level 3 is not as advanced as Level 1 or Level 2 centers in Indianapolis or Chicago, but Dr. McGee says it’s a start. “About 85 percent to 90 percent of the patients that we have that involved trauma we can take care of them but there’s a few that still need the services of a level 1 trauma center,” he said. Injuries sustained by fallen Merrillville Police Officer Nickolaus Schultz would’ve still required transfer to an out-of-area Level 1 trauma center. Longtime Indiana State Rep. Charlie Brown, a Democrat from Gary, has been trying to get Indiana to provide funding for just such a trauma center to help offset costs. But it’s moving more slowly than Dr. McGee would like. “I think the people in the community need to talk and lobby to their politicians, to their representatives and basically advocate for some kind of tax that can go toward funding for trauma,” McGee said. 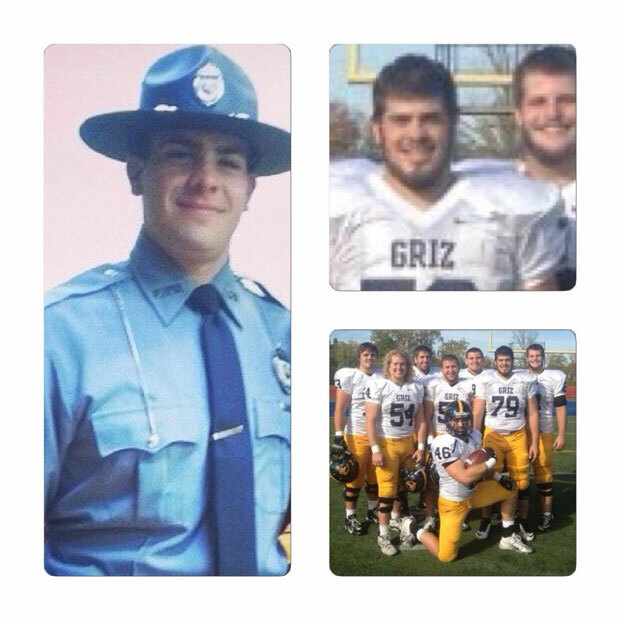 Funeral services for Nicholaus Schultz are scheduled for Monday. He will be laid to rest in his hometown of Lowell, Indiana.